A night out in Norwich still remains to be the best bet if you’re an East Anglian. Its nearest competitors are Cambridge and Ipswich which both lack the variety of venues and choice of pubs and bars that Norwich has to offer. In February 2011 the venue reopened under the name Project and Project Live, which has attracted hundreds of partygoers already. With Lola Lo having opened last year in place of the once-legendary Po Na Na’s and Mercy, the mainstream goliath, still going strong, Norwich club-life is well and truly back on form. Inhabiting what was once Norwich’s premier nightclub space on the affluent riverside, Project and Project Live is a venue that aims to keep you entertained from early evening through to the early hours. Project Live is a bar and entertainments venue next door to the main club Project. It offers Go-Go Karaoke with luxury VIP booths for hire in addition to the main, central karaoke room. On select nights Project Live also offers Jongleurs Comedy Club giving clubbers a chance to sit back, enjoy a drink and watch some of the best comedy talent around. It’s a fantastic way to do something a little different on a night out and offers the convenience and value (entry is included) of gaining entry to the club after the show. The club itself is a clean and modern open-space with a central dance floor, several well-positioned bars and ample comfortable seating. Movement around the club, from bar to dancefloor and so on, is easy even when busy. In the summer the effective air-conditioning will be a welcome relief from the heat of the dancefloor. For those that are tired of the usual chart topping repetition of popular music Project also offers a variety of themed nights that already has the Norwich student population buzzing. The best of those nights being Propaganda, a nationwide indie and dance club night with Radio 1 DJ Greg James often on the decks. Prices are also very appealing too with £1.50 bottles and £2.00 vodka redbulls which you really won’t find in any other club in the city on a Friday and Saturday night. 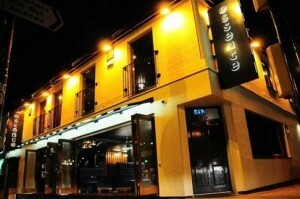 Project is a brilliantly designed, well thought out clubbing venue which breathes new life into Norwich nightlife. 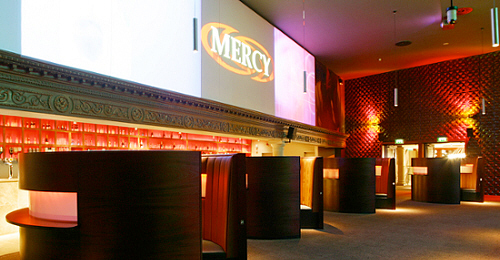 For years Mercy has remained the premier nightclub in Norwich with its huge dancefloor space, long-stretching bars and ever-popular ‘cheese room’ for a playlist of golden oldies. 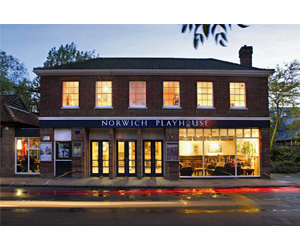 It’s capacity dwarfs the other Norwich venues at an impressive 2200. The themes vary throughout the week but with Mercy you’re usually guaranteed to hear the usual chart favourites as well as a few club classics too. Every so often Mercy is graced with short live performances from some of the big names in music including JLS, Ne-Yo and Tinchy Stryder. Drink prices fluctuate. Thursdays is the popular student night where select drinks are from £1.50 but by Friday and Saturday expect to pay a little more. Entry on Fridays and Saturdays are also a little steep reaching around £7 after 11pm. Getting in early is sometimes a smart choice where you’ll avoid the queues and the pricey entrance fees. Overall Mercy is a solid night out, staying open ‘til 3am and within a stones throw of bars like Rocco’s, Essence and Mojo’s – all good places for drinks deals and decent music until you’re ready to move on to the club. Formerly the super-popular Po Na Na’s, Lola Lo’s is a club with a twist. The theme is Hawaiian and the cocktails menu is vast. Like Po’s before it, Lola Lo also offers some great DJ nights where the biggest and best in dubstep, drum ‘n’ bass and dance take to the decks inside the intimate venue. The likes of Benga, Skream, Scratch Perverts, Jaguar Skills and Caspa & Rusko played phenomenal shows when it was Po Na Na’s and it’s a relief to see that Lola Lo has kept the tradition of securing trusted musical talent for one-off shows. Inside the low-ceilings and boutique style of the décor will strike you as being the unique twist as well as the more alternative styles of music played there. It’s a club that has a reputation for always being on the edge of every musical trend and hot-track so expect to hear the latest and greatest mixes every week. Club nights at Lola Lo vary from the budget-pleasing student night Fat Poppadaddy’s on a Thursday to Trashed indie and electro night on a Monday. Friday is Tiki Nights and Saturday is the strangely titled Zombie Nation. Both feature a more mainstream musical selection with the best in dance, trance, electro, pop and r’n’b. Although this is only open to the public to attend on Saturday nights The LCR at the UEA is a great alternative choice for a great night out. First and foremost it’s got the best drink prices and the best crowd – maybe as a UEA alumni I’m being biased but it really does offer a fantastic night out for anyone. – Now 90’s – The best of 90’s chart hits with R’n’B and dance in the second room. – Club Retro / Club Neo – 50’s, 60’s, 70’s and 80’s mixed in the main room with everything electronic in The Hive. – The Other One – Anything from the past 10 years with indie and electro in The Hive. As an avid live music fan though the real strength of the LCR is in the phenomenal live talent that it has week-in, week-out. Gigs are a huge part of the university life at UEA and the LCR consistently books the biggest and best bands from every genre to play. Some of the events actually continue on to a club night afterwards too. 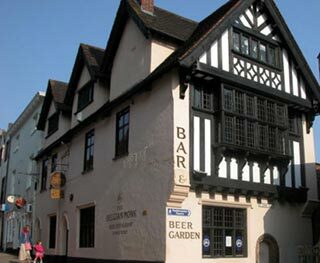 For beer connoisseurs The Belgian Monk is possibly the best pub in the East of England, let alone Norwich. It boasts two of the four beers that are still actually brewed by Belgian monks and whilst they’re rather pricey (£4-£5 per half pint) they are worth every penny. The prices can put people off but you have to remember that most of the beers here are between 6% and 13%. The atmosphere is always lively and friendly, the food is great (some traditional Belgian dishes like chips and mayonnaise are amazing) and the beers are the best you’ll ever taste. Everything from wheat and malt beers to cherry and fruit beers are on offer. Even if you only go for one it’s well worth the trip and you’ll fall in love with the place. 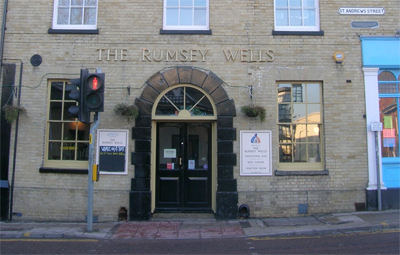 Another of Norwich’s finest pubs with a varied menu of drinks is The Rumsey Wells, a large pub with plenty of seating and a garden terrace giving you the perfect place to enjoy a pint. Selling some of the rarer beers in Norwich like the toffee-flavoured Innis & Gunn, The Rumsey Wells remains a great afternoon and evening pub. Norwich has three large Wetherspoons pubs dotted around the city and each has a different feel to it. The biggest Lloyds bar in Norwich, The Queen of Iceni is located on the Riverside and is the Norwich City FC home-fans pub of choice. With a huge bar and stacks of seating overlooking the river it’s a great summer time stop-off. 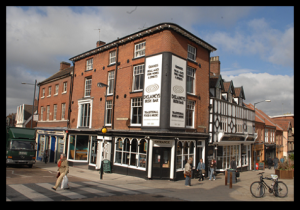 The Bell is another big pub located in central Norwich with two floors of seating and a stone’s throw from both the Chapelfield shopping centre and the Castle Mall shopping centre. 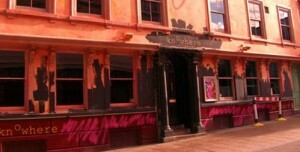 The Glasshouse, situated in Norwich’s beautifully historic Tombland, is the third and final Wetherspoons establishment. It’s a little more out of the way than the others but the surrounding area is a must-visit for anyone in Norwich. Two of the best pubs situated in the student-area of Norwich are The Mulberry and The Langtry. 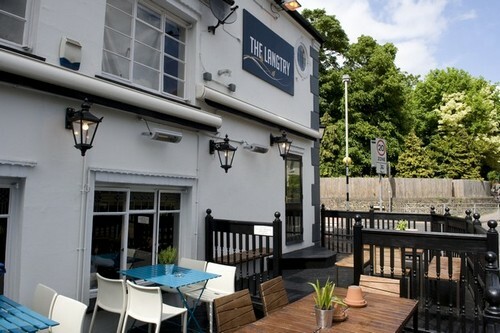 Both are situated on Unthank Road and offer great food and drink, friendly atmospheres and outer decking perfect for a summer evening pint or two. Delaney’s is Norwich’s biggest and best Irish pub and it’s still a hive of activity on any night of the week. With some of the latest opening hours of any bar it’s a great place to spend a night if you don’t fancy a club. Great music and a dedication to showing plenty of sport makes Delaney’s a top choice. Just around the corner from Lola Lo’s is probably Norwich’s best bar, Knowhere. A disjointed and often confusing layout doesn’t ruin the fact that Knowhere has some of the best drinks, deals and music around. It’s one of those bars that you can easily end up spending your entire night in. The dancefloor has ample space for around 100 people and the music always seems to be just what you want to hear. Seating areas are comfortable and communal and the U-shaped bar is big enough that is means you never wait longer than a minute or so to get a drink. With great drinks deals right up until the doors of the nearest clubs open, Essence is usually a definite en-route bar to go to. Jaegerbomb deals are usually a good enough reason to stop for one, if not two or three, and the dancefloor and music inside gets you in the mood for the final venue of choice. 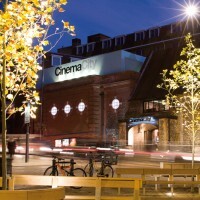 Cinema City is probably Norwich’s best cinema, not just because of its unique modern refurbishment of an old church, great food and terrace area but because you can enjoy a drink WHILE you watch a film. There’s nothing better than enjoying your favourite beer or glass of wine while watching a film at Cinema City and its brilliant bar area is a great choice to enjoy a drink in one of the less busy spots in town. The bar at Norwich’s tiny Playhouse is a great place to get a drink without the rowdy hustle and bustle of a usual night out. Prices are a tad more than elsewhere but the atmosphere, seating areas and courtyard are well worth a visit. 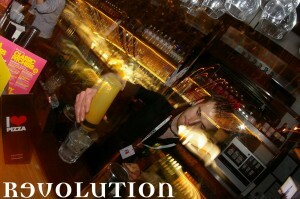 Revolution or ‘Vodka Revs’ as most people call it, is well known around the country for it’s drinks deals on, believe it or not, vodka mixers. Norwich’s Revolution is opposite Nowhere Bar which means you either have a difficult choice on which to choose or a double whammy of bars before moving on to Lola Lo’s round the corner. The best thing about most of Norwich’s pubs is that the day after you’ve enjoyed maybe a few too many there the night before, you can go back and get some genuinely brilliant bistro food. The Belgian Monk has a great post-hangover menu of simple but delicious food and an outside courtyard in which to enjoy it, getting some much-needed fresh air in the process. Everything from sandwiches and soups to full-blown steak and chips is available for great prices. 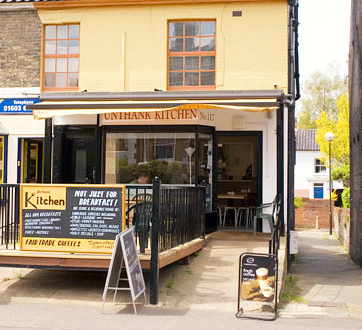 The Unthank Kitchen is without a doubt the best bet for a decent English breakfast. Great ingredients and cooked to perfection make this intimately-sized bistro on Unthank Road an unmissable hangover cure. The Langtry serves some great next-morning breakfasts and a fantastic value Sunday roast if you’ve a bigger appetite. Again, the outside decking is a nice way to enjoy hangover food and get some fresh air in the morning sunshine. Captain Americas is tucked away just off the main market square in central Norwich but once you find it you’ll find there’s the best burgers around to tempt your post-night out taste buds. Portions are generous too so if like me you find you need a big, wholesome meal to kick the hazy hangover feeling then this is the ideal place to do it. With two fantastic shopping centres, two cathedrals and a castle there’s plenty to see and do before or after a night on the town. Recognised as one of the best shopping cities in the UK you’ll find it tough not to spend the money you’ve got left in one of Norwich’s hundreds of shops. 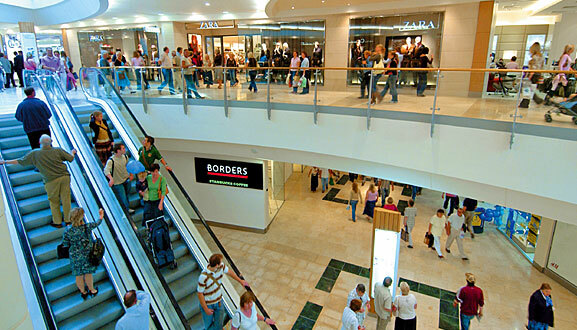 Castle Mall and Chapelfield are two huge centres for shopping, the latter being a haven for clothes shopping addicts, particularly with its 4 floor House of Fraser. Norwich’s Jarrold’s department store is also a fantastic place to browse everything from books and perfume to clothes and homewares. Two distinctly different cathedrals and the hard-to-miss castle in the centre of the city are three more reasons why you should visit Norwich before the sun sets. There are also gardens and riverside spots dotted around the city where you can enjoy a cup of coffee away from the hustle and bustle of the town.